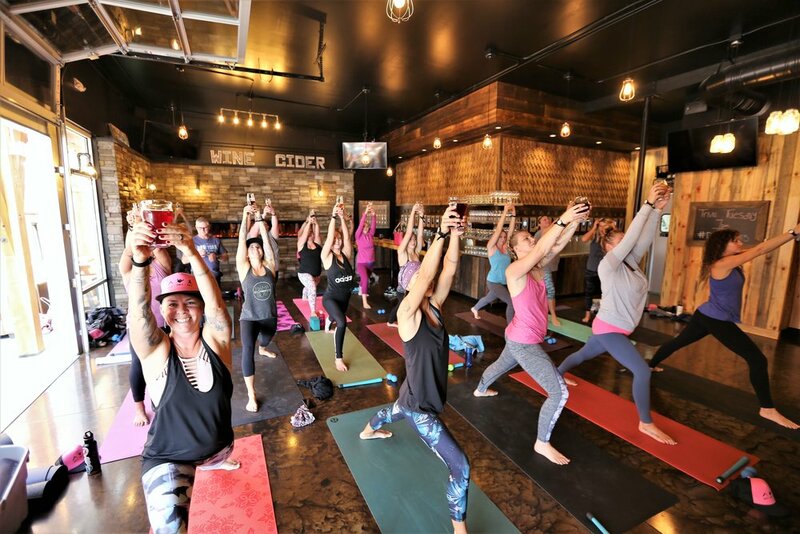 Grab your tickets for Sunday February 24th ThirstYogi! Laid back and fun, bring a friend or meet new ones. We will have some easy basic yoga flows and combine it with the adult beverage of your choice. Stay afterwards, enjoy either the food truck of the day or free delivery from Coconut Kenny’s! No experience necessary, just a good attitude and a willingness to not take anything too seriously! Traditional yoga not your thing but you know it would be good to stretch? Do you feel a little more comfortable with a drink in your hand? Perfect, we will teach you how to move through the poses WITH a drink in your hand. A good time is guaranteed. Come at 11:45 to get set up and claim your spot as the space fills up quick!! We always sell out of these events and do not sell tickets at the door so make so you plan ahead. Grab your friends, grab some tickets and mark your calendar. We hope to see you there. Cheers!